Your Temecula Real Estate Agent Guide to Temecula. Temecula real estate pre dates the United States and dates back to centuries ago with the Wolf Valley, Old Town and some of the first sites having orginally been settled by Native Americans before the Spanish missionaries (the people are now generally known as the Luiseños, after the Mission San Luis Rey de Francia setled. The Temecula Valley has been magnificent place in California offering a mild climate and rolling hills surrounding the valley. 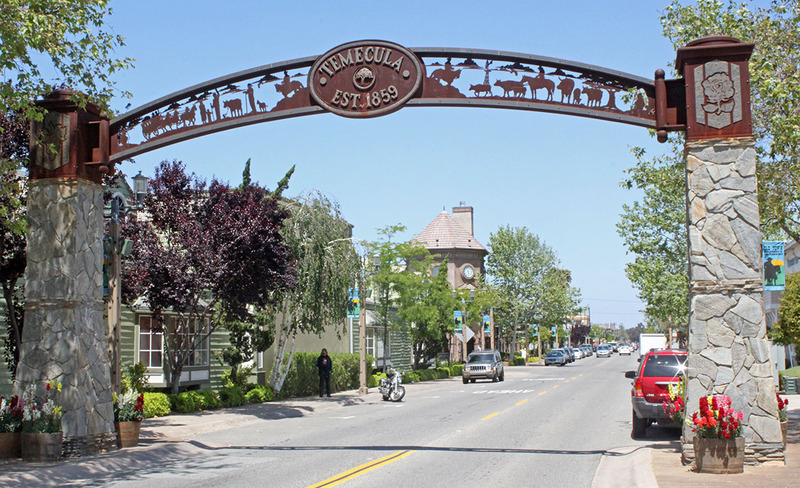 The history of the name Temecula dates back to the Indian word ‘Temecunga’ which can be translated as ‘the place of Sun’. Over the years, the name was changed by the Spanish into Temecula. However, there has been a popular interpretation about Temecula being ‘the place where the sun breaks through the mist’. Temecula is a city in the southwestern Riverside County, California, populated by 100,097 according to the 2010 census. Bordered by the Pechanga Indian Reservation and San Diego county to the south and the City of Murrieta to the north, the city of Temecula forms a southwestern anchor of the Inland Empire region. Stretching through 3,300 square miles, Temecula ranks as the 5th biggest city in Riverside County and the 63rd in California. The climate in Temecula, on the other side, is typical Californian with warm and hot summers and mild winters. December is the coldest month and August is the hottest one in the year. The city of Temecula therefore has an ideal climate, attracting many new homeowners and being active in the real estate industry with new and modern listings for sale continuously. The population density in Temecula, CA is estimated to be around 3,318 people per square mile. In the 2010 Census, there were 31,781 households and homes in Temecula, CA. Half of them had children under the age of 18 living in them, which proves that Temecula is a family-friendly city offering great real estate listings for homeowners who want to settle in and raise a family. The population in Temecula, CA spreads out with 30,7% people under the age o 18, 9.3% aged 18 to 24, 27.8% aged 25 to 44, 24.4% aged 45 to 64 and only 7.8% people with 65 years or older. This once again shows that the real estate in Temecula, California is booming especially for families and first time homebuyers. There were 34,004 housing units in Temecula at an average density of 1,127 per square mile. However, their number has increased – progressively with the rise of real estate in Temecula and the many listings for sale at affordable prices. If you are looking for homes for sale in Temecula, CA but are uncertain of the best things to do in the Temecula Valley, you should know that there is a spectacular natural beauty this city offers. And obviously, there is more than that. Temecula is known for the amazing rolling hills that make ideal golf courses and a climate which is perfect for hot-air balloon adventures. Aside from that, Temecula is a great land for wine – proof of that are some of the award-winning California wineries which are nestled in more than 3,000 acres of wine country – based in Temecula. There is a whole variety of real estate properties in Temecula, CA that can tailor to anyone’s interests and wallet. Most importantly, the Temecula community is friendly and offers some amazing activities – making every tourist want to come back again and again. The Old Town is where the hottest Temecula real estate listings are settled. This part of the city blends the historic buildings with some of the region’s most iconic shops and artisans. With over 640 antique dealers as well as unique shopping and restaurants, the Old Town of Temecula is the soul of the city and a site that is a home to many car shows, semi-annual Rod Runs, Western Days and continuous weekend entertainment. It also offers the historic 3610 seat Old Town Temecula Community Theater which lets you dig into the past and be amazed of the beautiful courtyard, rehearsal spaces, meeting rooms and dance studio. Ideal for people of every age, The Old Town lets you take a jaunt in a horse-drawn carriage, walk on the wooden boardwalk, visit the Farmer’s Market and many more activities. The modern side of Temecula is another part of the story. The real estate in Temecula is mostly focused to modern households and listings for sale which are spectacular and of top quality. The city combines this approach as well – and proves that Temecula offers things for every taste. The modern neighborhood centers and shopping malls in Temecula offer store shopping at its best, spectacular restaurants, movie theaters, kids activities etc. If you are a fan of the outdoors, you can try hiking in Temecula – more precisely the rolling hills that surround the Temecula valley. The Santa Rosa Plateau Wildlife Preserve is ideal for hiking, while the Lake Skinner can make the perfect day of boating and fishing as well as paying a visit to the annual Balloon & Wine Festival. From golf to entertainment, a skate park, lakes for fishing and hills for hiking and cycling – Temecula offers a lot of things to do. If you want to settle in and look for listings for sale in Temecula, CA, you should know that the city is one of California’s true pearls. Rolling hills full of vineyards, breathtaking views on the Valley, the ocean breeze which can be felt everywhere, shopping, antiquing, hot air balloon rides and the Old Town all prove that Temecula is an exciting place to visit and live in.